SINCE this seems to be Cozumel Week on this blog (seriously, Mexico travel and tourism ministry, you think I’m going to get my commission anytime soon?) 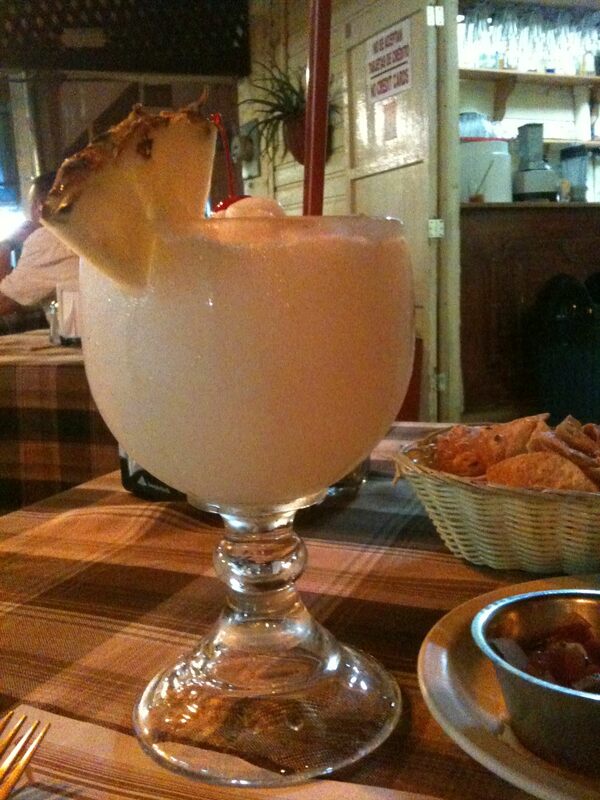 I am continuing the trend with four great places to eat in Cozumel. To prepare the garlic, cut it into fine pieces and toss it in olive oil with lime, white wine and jugo de Maggi (Maggi sauce, that you can buy in Cozumel). Once the garlic is ready, marinate the fish with lime, salt, pepper and garlic, and then grill or cook in a pan. We brought a travel-sized bottle of the Maggie jugo back with us, and I can’t wait to try making the dish myself. But I know it won’t touch what we had at Casa Denis, and I can’t imagine it’ll be too long before we’ll be back there to have the real thing! 2. 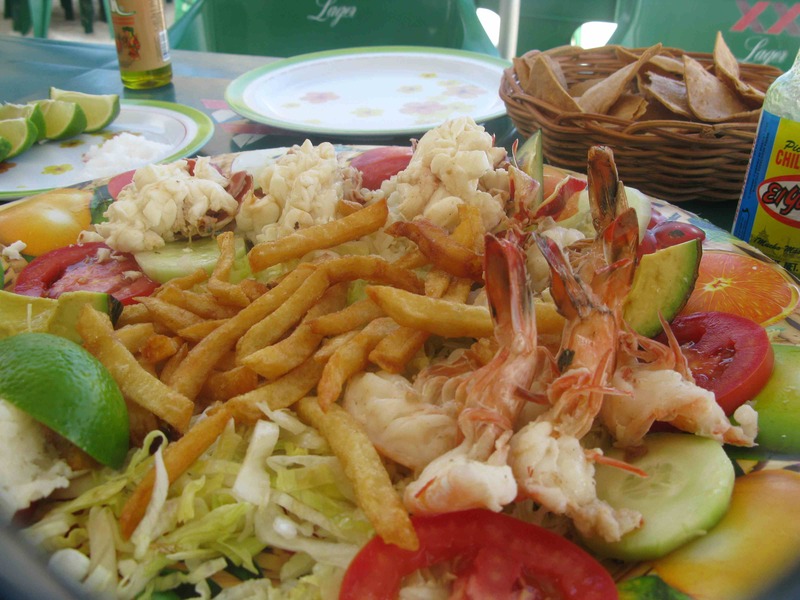 Tio José: This little place, which is called “Uncle José” is a humble eatery right by the water, close to the lighthouse. You can get a seat outside on the terrace or on the beach itself. 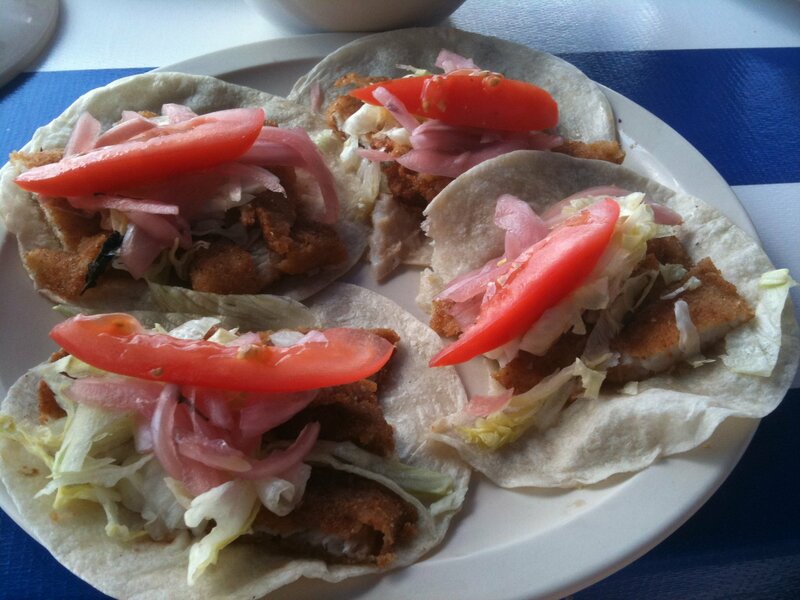 I highly recommend the fish tacos (super simple, with tomatoes and lettuce and pickled onions—oh, those onions! I could write odes to those onions) and the pork tacos and the micheladas—beer mixed with lime, hot sauce, and salt. Best eaten with the sea breeze lightly ruffling your hair. And after you’re done, you can pull on your flippers and snorkel mask and wade into the water, as a number of families were doing when we were there. One half block east of the intersection of Avenida 65 and Calle 11 on the south side of the street. 3. Chen Rio: This seaside shack on the eastern side of the island was recommended to us by a local for its excellent seafood. Accessible only through the lone paved road that connects the tourist-stuffed western side—bulging with cruise liners, “flea markets” and high-end jewelery stores—to the calmer, deserted eastern side, Chen Rio was still surprisingly crowded, a testament to how far folks are willing to drive for fresh lobster. If you’re in a group of four, you can get the seafood platter, with fish, shrimp, lobster and conch. Being only two of us, we settled for the shrimp and lobster platter, which was more than enough. There were no fancy sauces or delicate arrangements, just fresh white meat on lettuce and tomato, with a side of fries and four slices of avocado. They provide plenty of salt and wedges of lime; sprinkle liberally and dig in! After we were done eating, we queried our waiter about the provenance of the lobster. In answer, he pointed at a fishing boat that was just coming to shore. Off the boat and onto the plates! It doesn’t get any fresher than that. The other awesome thing about Chen Rio is that, like Tio José, the beach it sits on is perfect for snorkeling or swimming. It’s protected by a ring of rocks that take the ferocity of the waves, leaving the enclosed space gentle and welcoming. To the left is a natural kiddie pool, a high bar of sand that creates a shallow pool, only two or three feet deep, where the tots can splash about in safety. Costera Este Highway 3.5 miles, north Cozumel 77600. 4. 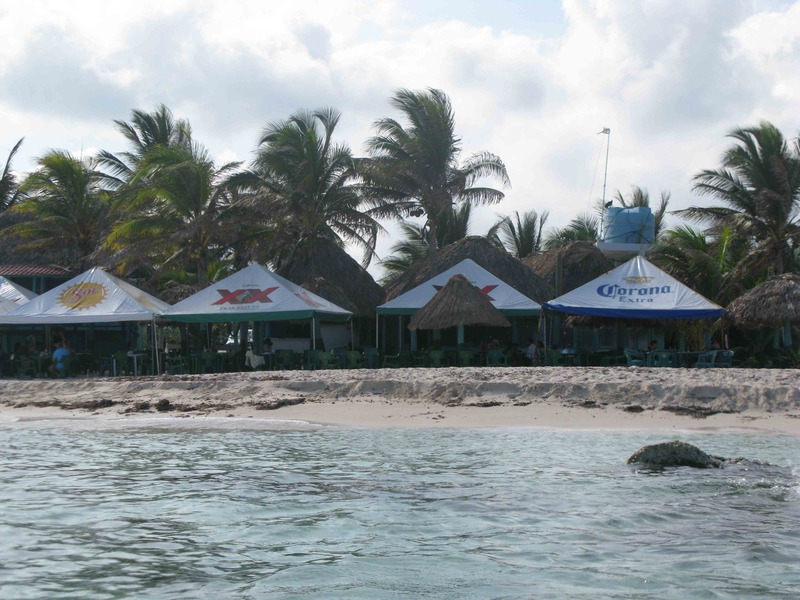 Kinta: This is where you want to go for date night in Cozumel. Ask to be seated in the back garden. 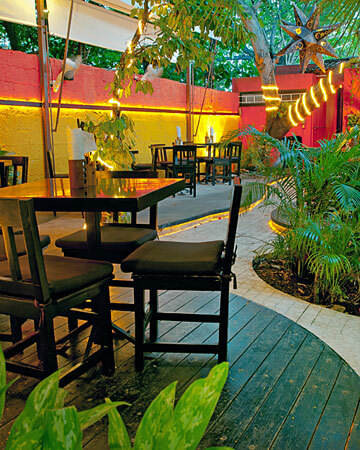 Artfully placed fronds shield you from your fellow diners; lights shine through stenciled out iguana sculptures clinging to the walls; and the red-and-black color scheme is just plain romantic. They have variations on the standard margarita—hibiscus or jasmine, anyone?—and an innovative, oft-changing menu. It seems to change so often, in fact, that I can’t find the appetizer that I devoured a mere week ago on their website! It was so good that I recommend asking for it by name if it’s not on the current rotation. It’s called the cherry bomb, and it’s four perfectly round balls of fried conch and other stuff that set off fireworks in my mouth. You look at the artful presentation, the mélange of flavors, the bringing together of the familiar and the surprising, and you know that there’s a real chef behind every dish. I won’t recommend other specific dishes, but if you want delicious food in a beautiful setting, you must pay a visit to Kinta. OK, I admit it, that title was a bit of a tease. This post has nothing to do with either The Godfather or death, but it does have to do with marine life. These are videos of sea critters that I took while snorkeling in Cozumel, off the Yucatan coast of Mexico, this past weekend. Excuse the shakiness; the waves made it difficult to hold the camera steady. In this first video, a grouper (in the background) and an unknown blue fish swim past. Taken while snorkeling off the western coast of Cozumel, just opposite the restaurant Paprika. In this second video, there are too many fish in this video to describe them all, but the school of purple looking fish floating around are actually yellow grunt fish; the absorption of light in the water does funny things to color. The tiny black and yellow striped fish are sergeant majors, and the spiny black creature hiding out in the coral is a black sea urchin. I don’t know what fish these are but they surrounded me as I was about to leave the water and I had to take a quick video of them. I tried to reach out and touch them but they always managed to change direction at the last second and evade me.